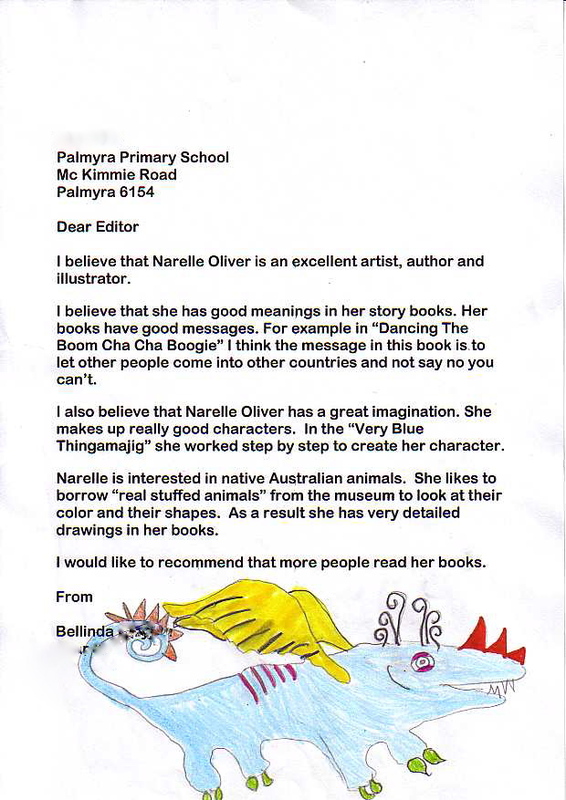 Children from Palmyra Primary School in Western Australia recently visited the Fremantle Children’s Literature Centre, where they attended a workshop with author-illustrator, Narelle Oliver. The students were enthusiastic about Narelle Oliver and her books, and wrote in to Alphabet Soup to tell us about the visit. We are pleased to share three of their letters with you! Thanks for writing in to tell us about your visit, Bridie, Charli and Bellinda. 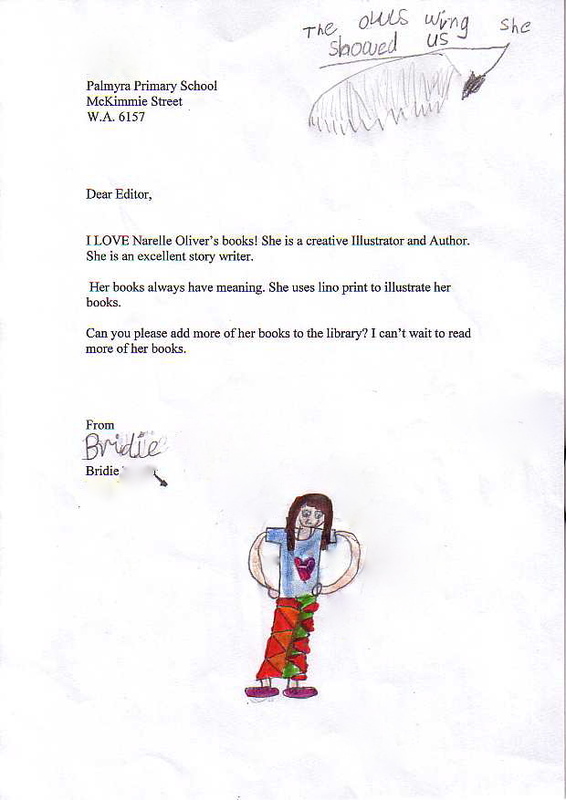 We’re glad to hear that you love Narelle Oliver’s books – perhaps one day you will be writing and illustrating your own books! Next Post Meet Leanne Davidson, author of Quizzical! 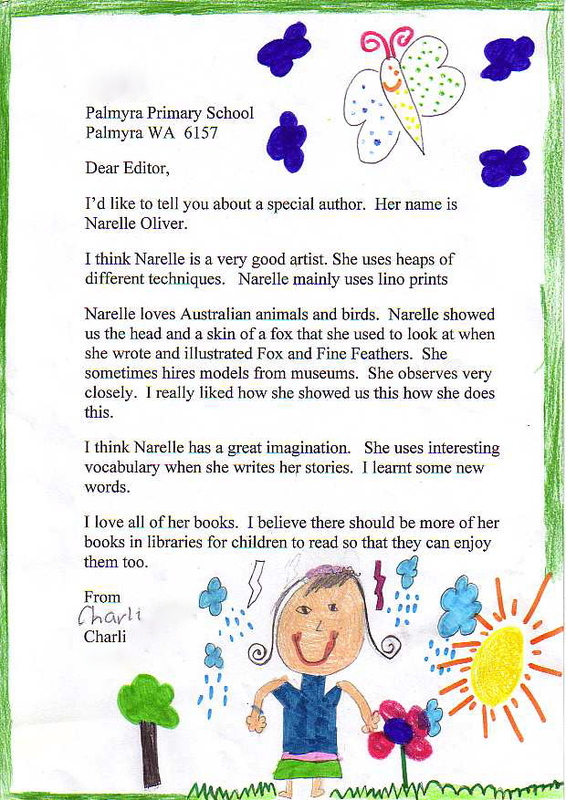 I love Narelle Oliver’s books too. I can understand why the kids enjoyed her visit and her books so much.